Muddy says: Fitness, fun and a body to kill for? 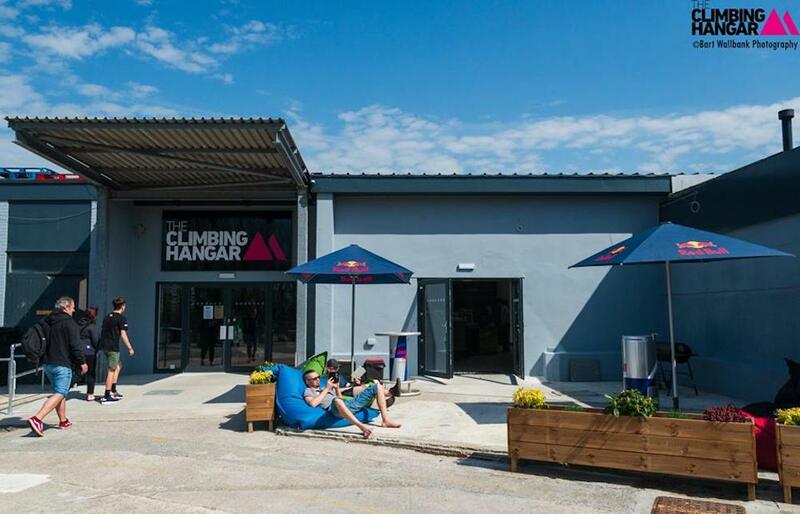 If you haven’t discovered this spanky new bouldering facility in Plymouth then what *are* you waiting for? Psst. the cafe’s cool, too! Bye-bye bingo-wings and bring on the buns of steel! 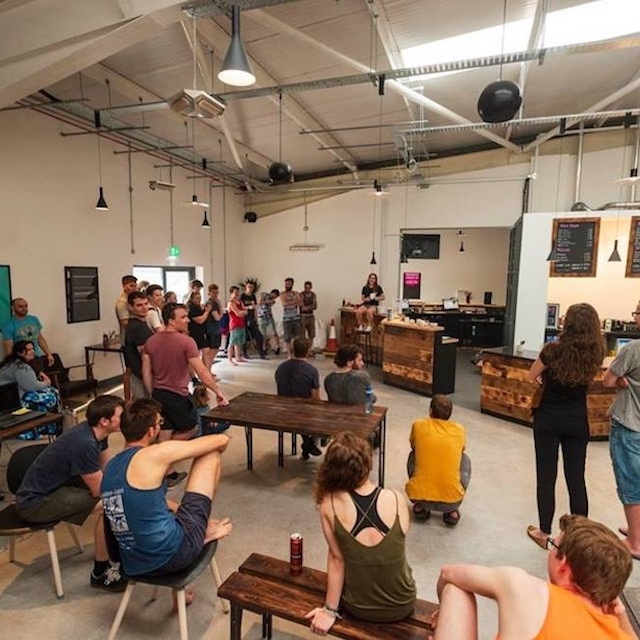 Seriously, if you’re thinking of trying something new and haven’t discovered climbing – or bouldering – yet, then Plymouth’s Climbing Hangar has landed in town like a gift from the (toned and sculpted) Gods. 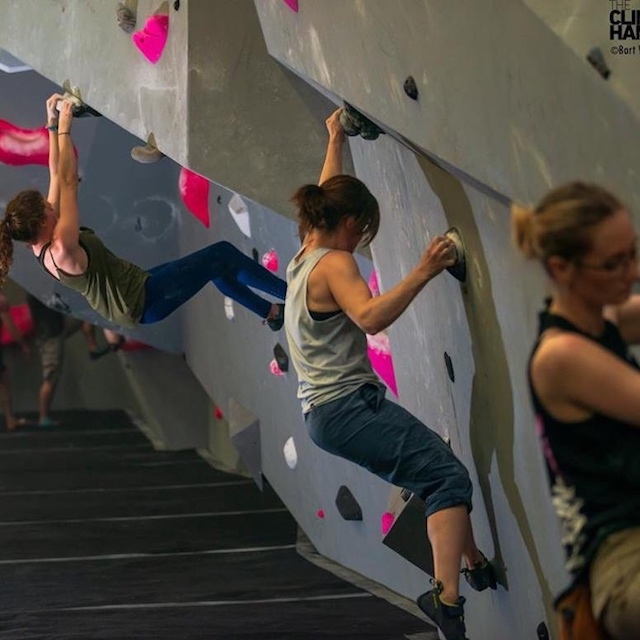 It’s an all-weather bouldering facility (climbing, not very high, but challenging body and brain), that’s already taken Liverpool and London by storm and is brilliantly geared up for anyone who fancies joining the climbing community. 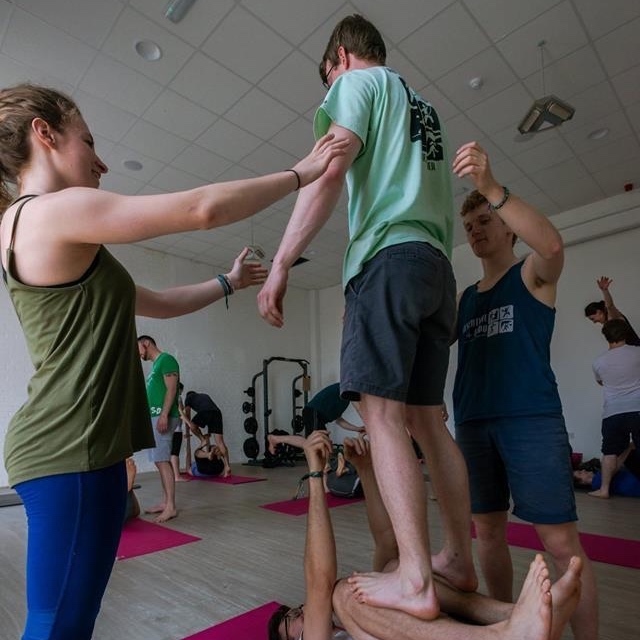 Go for a coach-led session, join a Friday night women’s social, or book in to a specialised yoga or strength and conditioning class to help you progress (because once you try it, you’ll probably love it). Prices are super-reasonable, too. You can get climbing for just £6.50 a session, but a monthly membership is £23.99 and gives you loads of benefits, as well as unlimited climbing. Do it as a family, with mates, or do it solo; either way, this one’s inclusive, fun and a totally refreshing way to get some exercise into your life.